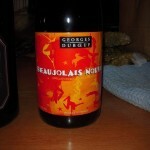 So on a bit of a lighter note, a few weeks ago was the release date for the 2010 batch of Beaujolais Nouveau out of France. 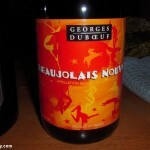 And seeing how the nouveau always sells out quickly, I made sure to swing by Costco a day or two after the release, and I picked up a whole case of the stuff, while they still had it in stock. And boy was it a deal at Costco, at $7.99 a bottle. And the case that I did pick up, is only half for me, since the other half was already promissed to my folks, for when I see them after Thanksgiving. 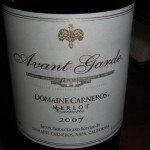 And at $7.99 a bottle it’s probably one of the best value plays in the red wine market for the rest of the year. So Cheers. I picked up my shipment at the UPS Depot with JRR a few weekends back. 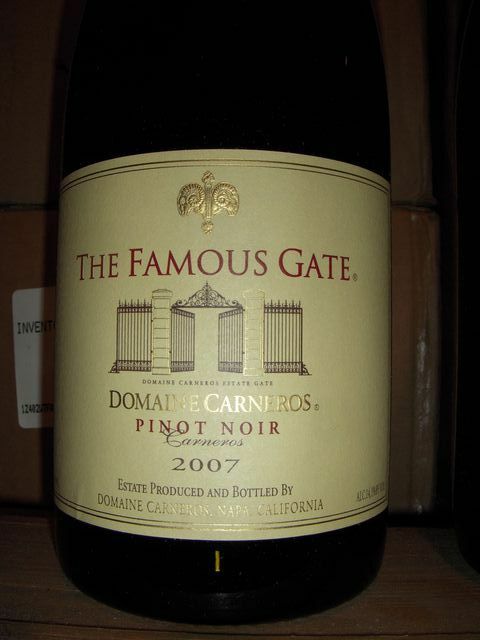 And this months shipment is really nothing that I haven’t received before from Carneros, other then being a new vintage (hence no pics posted.) 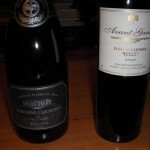 So with that, for this month’s shipment I received a 2006 Vermeil Demi-Sec and a 2008 Avant-Garde Merlot. 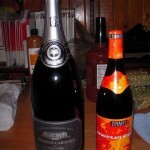 Personally I like more of a Brut in my sparkling wine, compared to a Demi-Sec. But I suppose you have to mix it up every once in a while, even if it may be forced upon you. Bottoms Up. Talk about good timing on my part, in that I was actually able to catch the UPS guy for once. And not a moment too late, since when I was pulling into my driveway the UPS guy was up the street about a block making another delivery. So I basically just stood in my driveway for the 5 minutes, waiting for him to drop off my wine. 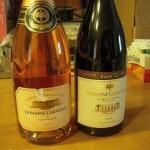 Once again I’ve got a nice little mix in the bi-monthly shipment, with both wines being “new releases.” For the sparkling I received a 2006 Brut Rosé Sparkling Wine, and for the red its a 2008 Domaine Carneros Dijon 115 – Clonal Series Pinot Noir. 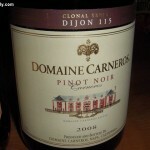 Below is the write-up for the Pinot Noir, and I’m really excited to give this unfiltered Pinot Noir a try. I’ve also attached a scan of the newsletter page with the write-ups of all four wines available for this shipment. The 2008 vintage marks the debut of our new Clonal Series. 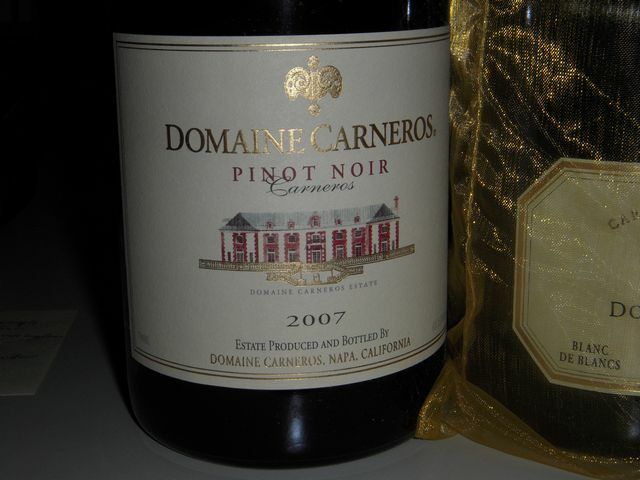 Each year we will put the spotlight on one of the 12 different Pinot Noir clones grown at Domaine Carneros by bottling it separately. In this first edition, the Dijon 115, was a stellar candidate from the beginning. 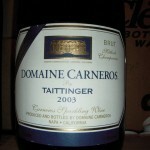 Sourced from two different estate sites, the final blend ventures into new stylistic territory for Domaine Carneros. Along with the full complement of fruit that one has come to expect from the Chateau, this clonal wine leads with an exciting aromatic profile featuring earthy forest floor, saddle leather, tobacco box, roasted coffee and a wisp of smoke. tasting reveals delicate anise spice, baked cherry, and a silky texture.Enjoy this limited wine and Club exclusive. 500 cases bottled without filtration. 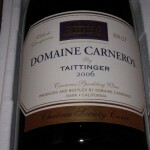 This months shipment is an interesting mix of wines, from the brim to the dregs (so to speak) for Domaine Carneros. 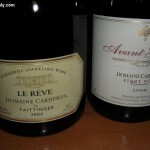 For the sparkling it’s a 2004 Le Reve Blanc de Blancs and the red is a 2008 Avant-Garde Pinot Noir with both wines being new releases. 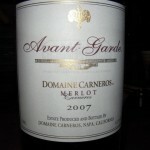 They must make a lot of wine for the Avant-Garde series (Merlot, Pinot Noir, Chardonnay), since it seems like I have at least 6 bottles from that line in the basement. 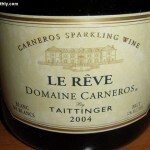 While the Le Rev is usually the wine that Carneros ships out for the higher end subscription that they have available. But every once in a while, they somehow include a bottle for the basic subscription category. Bottoms up! Booyah!!!! 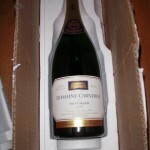 Last Friday I stopped by UPS to pick up my Magnum Society shipment from Domaine Carneros, which is a 2006 Magnum sized bottle of Sparkling Brut this year. 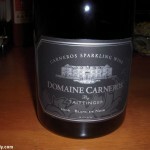 But Domaine Carneros is also offering a bunch of different holiday deals this year for wine club members. 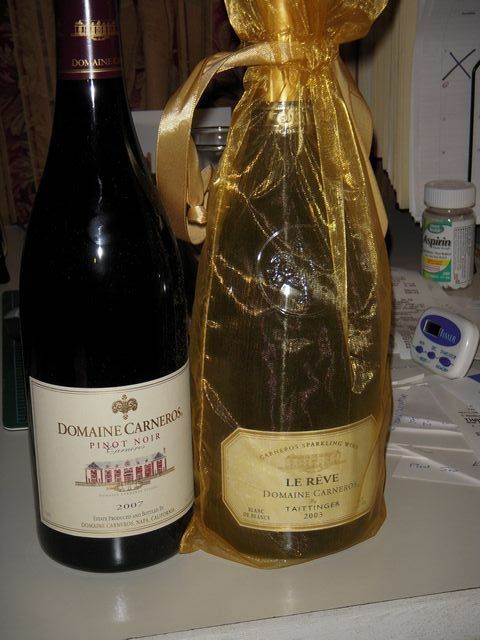 One deal that peaked my interest is their Thanksgiving Trio of the following three bottles for $110: 2002 Late Disgorged Brut, 2007 Avant-Garde Chardonnay, 2006 La Terre Promise Pinot Noir. 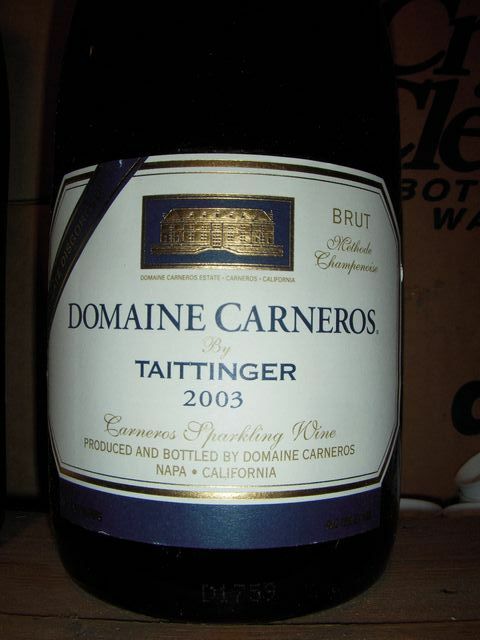 But I don’t think that I’ll be ordering anything extra then my normal club shipments this year, seeing how I still have over 12 bottles of Carneros wine just sitting in the basement from this years shipments. 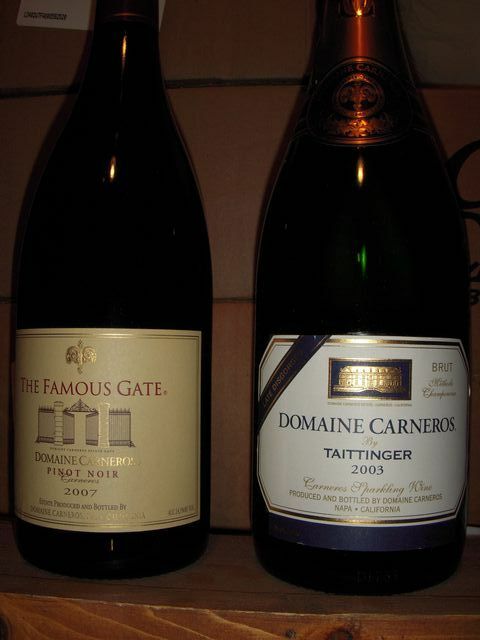 Plus I still have another regularly scheduled shipment coming in a couple of weeks, of a 2005 Ultra Brut and a 2007 La Terre Promise Pinot Noir. So I think I’ll be bringing some wine for Thanksgiving and Christmas dinner this year. This months wine shipment sounds exciting. 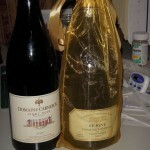 Yeah I’ve got the usual red (2007 Avant Garde Merlot) & sparkling wine mix, but for the sparkling wine they shipped out something very intriguing, a 2006 Blanc de Noir. 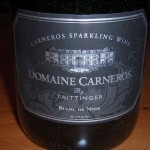 From reading Domaine Carneros’ flyer this month, I guess that this is only the second time that they have released a Blanc de Noir, which is basically a white wine made from black grapes. 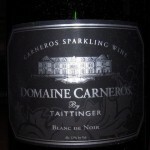 There first release of Blanc de Noir was in 2001, but it seemed more like an experiment from a stand out Pinot Noir Cuveé. 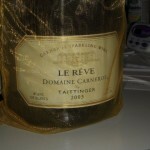 It wasn’t until 2006 that they had another Pinot Noir Cuveé that to quote them “wanted its own recognition.” So I’m pretty excited to give this sparkling wine a try, and at a list price of $33 and a club price of $29.99 a bottle (even lower when getting half case and up), a pretty reasonable price point to boot. In some other exciting wine news, in about 2-3 weeks I should be getting my Magnum Society shipment for the year. I’ll post more info in that shipment when it arrives. So once again I had to hold my wine shipment for pickup at the UPS Depot, since I was out of town when the shipment was scheduled. 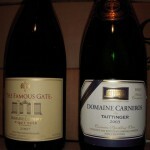 As usual with the mixed club that I subscribe to, I got a bottle of sparkling and a bottle of red. 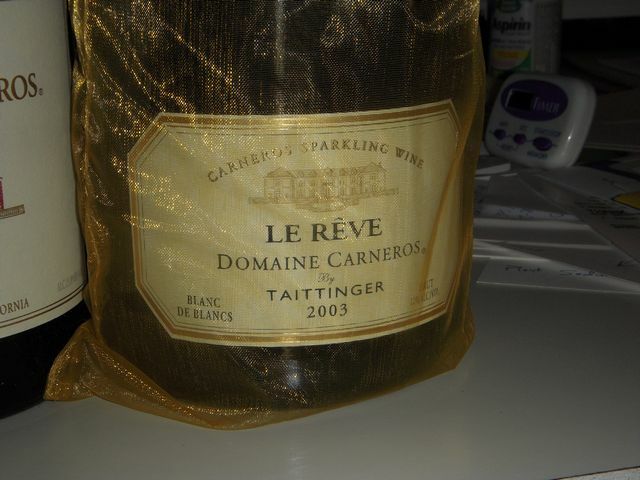 The sparkling this shipment is a 2003 Le Rêve Blanc de Blancs, which is a blend of 98% Chardonnay and 2% Pinot Blanc. 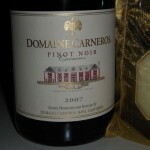 And the red is a 2007 Domaine Carneros Estate Pinot Noir. One interesting item that I noticed in this shipments newsletter, were all the large format bottles that they have available, at pretty reasonable prices compared to their range of 750ml bottles. For Vintage Brut they have a Magnum(1.5L), Jéroboam(3.0L) and Methuselah (6.0L). For reds, they only have a Pinot Noir as a Magnum. 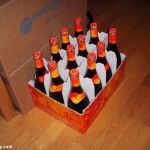 It would be pretty sweet to get the Methuselah, 8 normal sized bottles in one very large bottle. Now thats a party!